Are you interested in migration? Do you want to help concrete migrant families with integrating into Czech society? Do you want to support children of foreigners in education? Are you available for one hour a week or two hours a month? Join our team of 35 volunteers from all around the world. In 2017, the volunteers helped 64 pupils to succeed at Czech schools. They also organized 12 free-time events on Czech culture. Volunteer activities normally take place in Prague and its immediate surroundings. Tutor primary and secondary school pupils who need help in different subjects, mainly in English but also other languages. Participate in the planning and organization of free-time activities within the club “ČEKUJ! aneb Ceska kultura jinak” (Czech culture differently) where you help to raise foreigners' awareness of Czech culture, traditions, and life style. Knowledge of Czech language at communication level is required. Assist in workshops for primary and secondary school pupils focused on migration, discrimination, and integration into society. Knowledge of Czech language at communication level is required. Personal migration experience is of advantage. 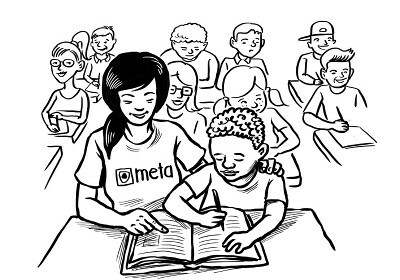 Help to organize diverse events to promote META's activities. Support us through your PR, fundraising, administration and IT skills. Diverse and meaningful work that enables your personal growth and an opportunity to meet people from all around the world. Initial and regular additional trainings for volunteers in either Czech or English. Regular support provided by the volunteer coordinator. Regular group and individual supervisions. Informal meetings to share experiences with other volunteers. Conclusion of an official volunteer agreement. Insurance while performing volunteer activities at Hasičská vzájemná pojišťovna. Participation in a volunteer program accredited by the Ministry of the Interior of the Czech Republic. Are you over 15 years old? Are you interested in any of the opportunities? Do you have another idea of how to engage? We would like to meet you in person to get to know you and your ideas. For now, we need some basic information about you. Please, fill in this form and we will contact you. Note that the form is not binding. Are you not sure? Do you need more information? Contact the volunteer coordinator Karolina Petrželková via dobrovolnici@meta-ops.cz, (+420) 775 290 158.